Wanrong Book is the very important foundation of Chinese original literature. Our authors include Han Han, Anne Baobei, Rao Xueman, Cai Zhiheng (Taiwan), Guo Ni, An Yiru, Sun Rui, Cang Yue, Jin He Zai, Murong Xuecun, Shi Kang, Wang Shuo, Na Duo, Bu Feiyan, Mian Mian, Feng Tang, Chun Shu, You Sulan (Taiwan), Fu Mijiang (Taiwan) etc, all of which are the most popular writers in China. Wanrong Book devotes itself to manage “books” and “writers”, which means not only publish the most recent works of the above-mentioned authors, but also publish their collection of essays. 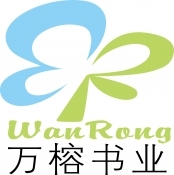 In addition, Wanrong Book provides the service of writer’s public relation, reader interaction and copyright applications. We are looking for the foreign partners for the translation rights to all the excellent titles on literature, popular science, buddhism(general) and also parenting.